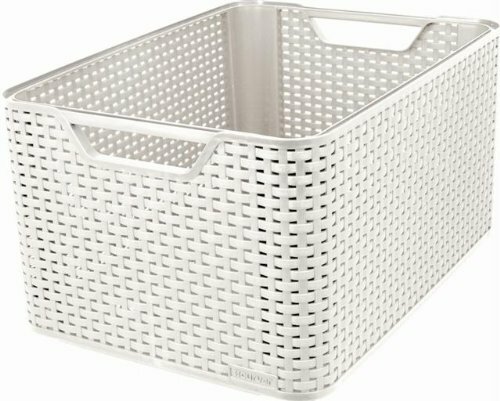 19.5cm x 25.5cm x 39cm approx. 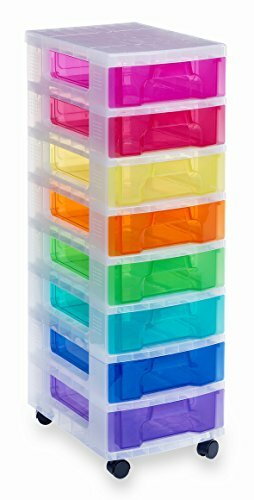 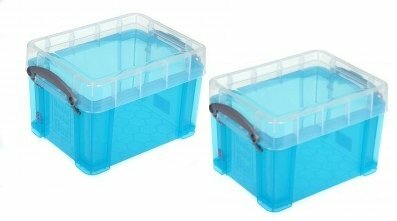 This pack of 2 Really Useful Boxes are transparent and ideal multi-purpose storage. 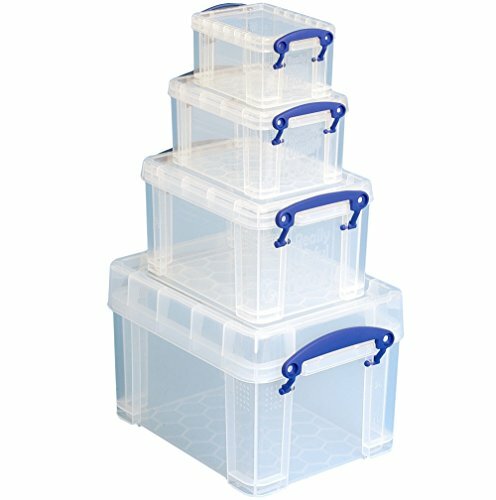 Each 3 litre box comes with a lid and clip lock handles to keep its contents secure. 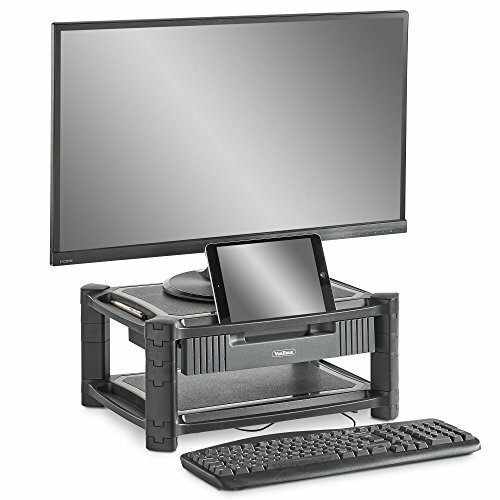 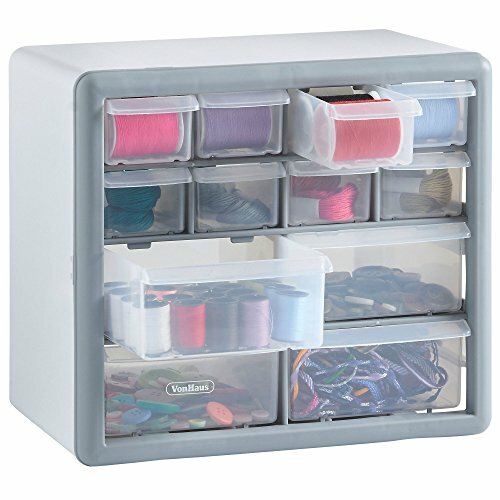 They can be used for storing a range of items such as office supplies, school stationery, kitchen utensils, crafts items, DIY equipment and many more. 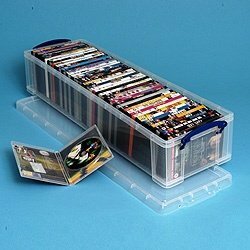 If used for CD or DVD storage, these boxes can hold 10 DVDs or 18 CDs. 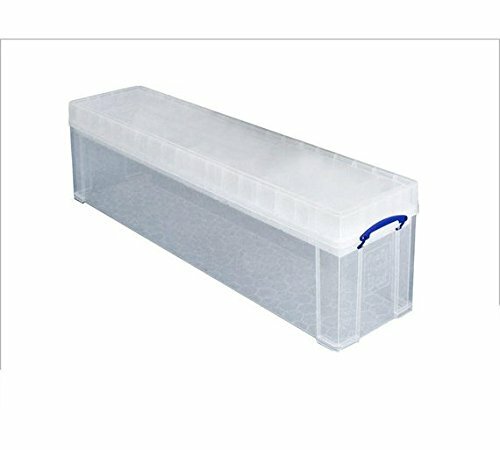 This 77 Really Useful Box is a transparent, solid plastic box for storing your Christmas Tree and Decorations. 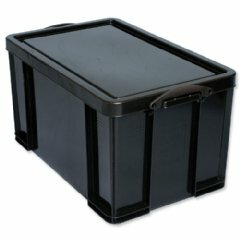 This 77 litre storage box has 2 trays included. 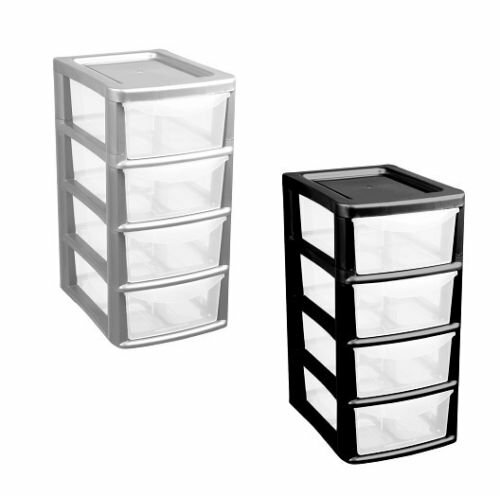 One tray is for storing your baubles and the other for tinsel. 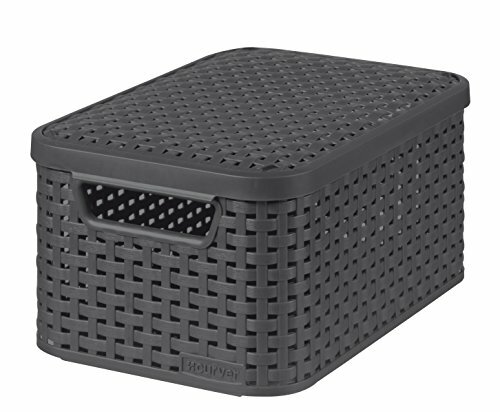 This storage box also comes with a lid and clip lock handles to keep its contents secure.